The Telluride Hospital District has been awaiting judgement from the U.S. Army Corps of Engineers on wetlands issues associated with the Mountain Village parcel which is to accommodate a new critical access hospital. 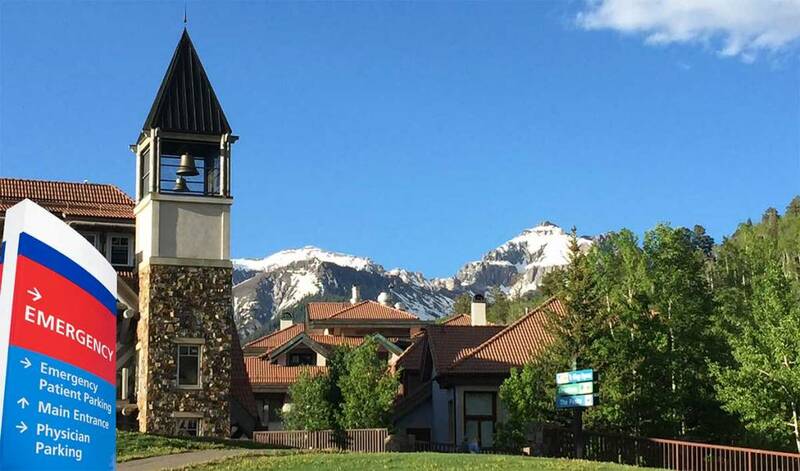 Since 2006 the hospital district has been working to find a site for a new hospital needed to accommodate the increase in patient needs as the population of Mountain Village, Telluride and the surrounding area has grown considerably. Over those years over 22 viable site have been examined for consideration of the new facility. In an April 19 letter from the Army Corps of Engineers the Telluride Hospital Districted receiving a “qualified yes” for the proposed site, which is a large step toward the build and realization of the new facility. The permit application for the new hospital site involves mitigation and impact to approximately 0.44 acres of wetlands located on the parcel. The Corps of Engineers also stated in its letter to the THD that after assessing the other proposed sites for the new medical center that there is no other location which could practically fulfill the purpose of the Telluride Hospital Districts’ project. THD also agrees that this site is the only plausible site based upon access to their parking and public transportation, cost considerations, land use provisions and corresponding considerations. The THD is required to respond in writing to the agency within 30 days outlining “a general discussion of how the project avoided and minimized impacts to waters of the U.S.” along with a final mitigation plan. Both the mayor of Mountain Village, Dan Jansen and THD Board President Larry Mallard said the board would respond timely to the agency's request and that there are more steps to come in the process. However, this was a major move forward as not much else could be done until this ruling from the U.S. Army Corps of Engineers was granted. THD will continue to discuss the new development of the hospital with the town of Mountain Village and its residents and “engage construction firms.” The region is now much closer to achieving a state-of-the-art hospital and facilities which are expected at a world class resort area. Visitors and locals alike will benefit from such a resource within the mass of population of San Miguel County and the surrounding counties.